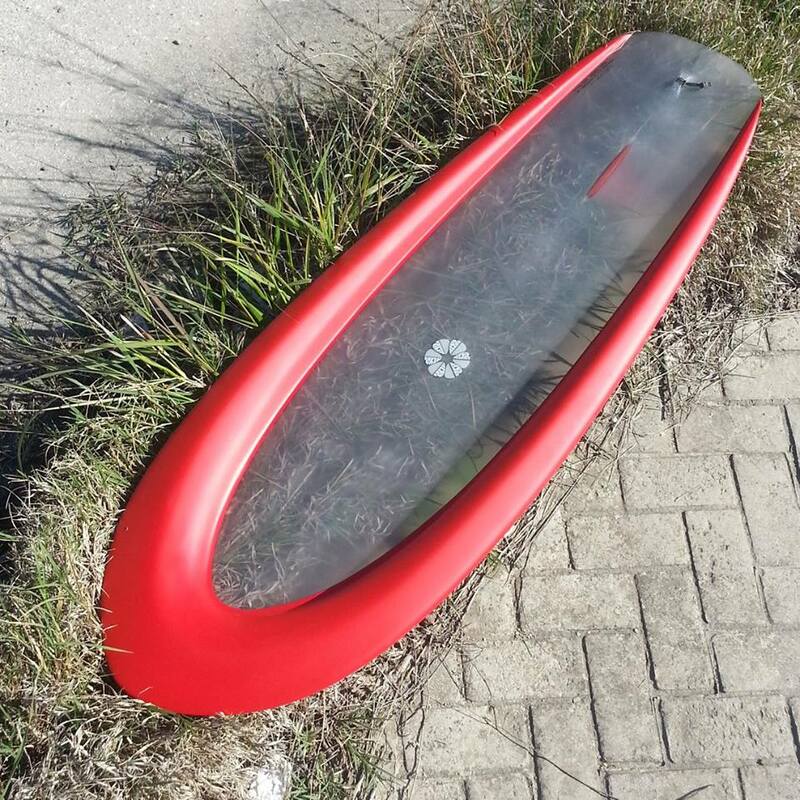 SUSTAINABLE FUTURE HAS COME TO NEYRA SURFBOARDS!! Hi there!! 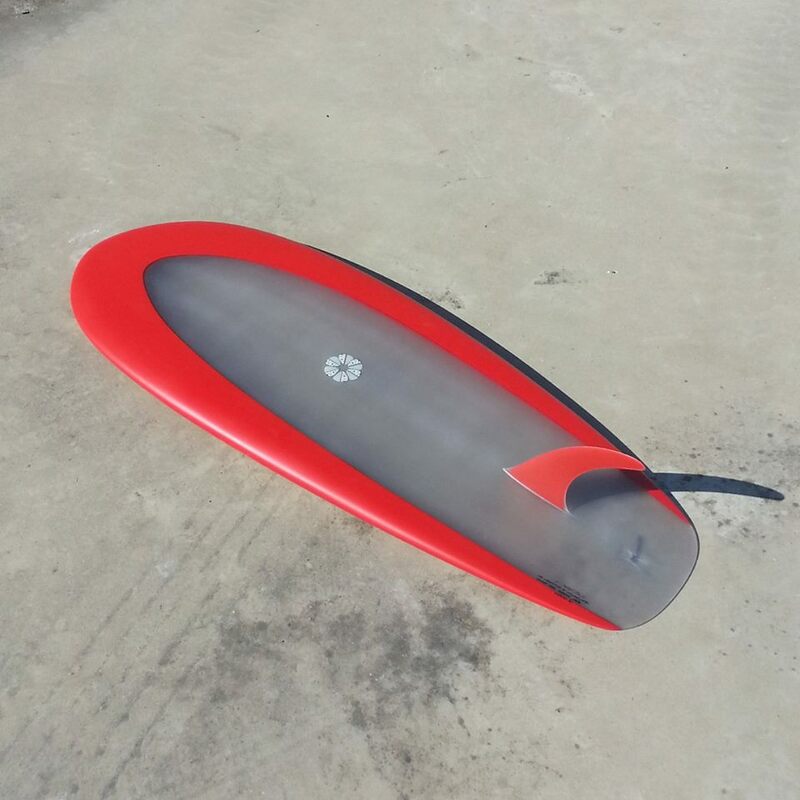 In case you didn´t notice, the world is going green, so is Neyra custom boards. 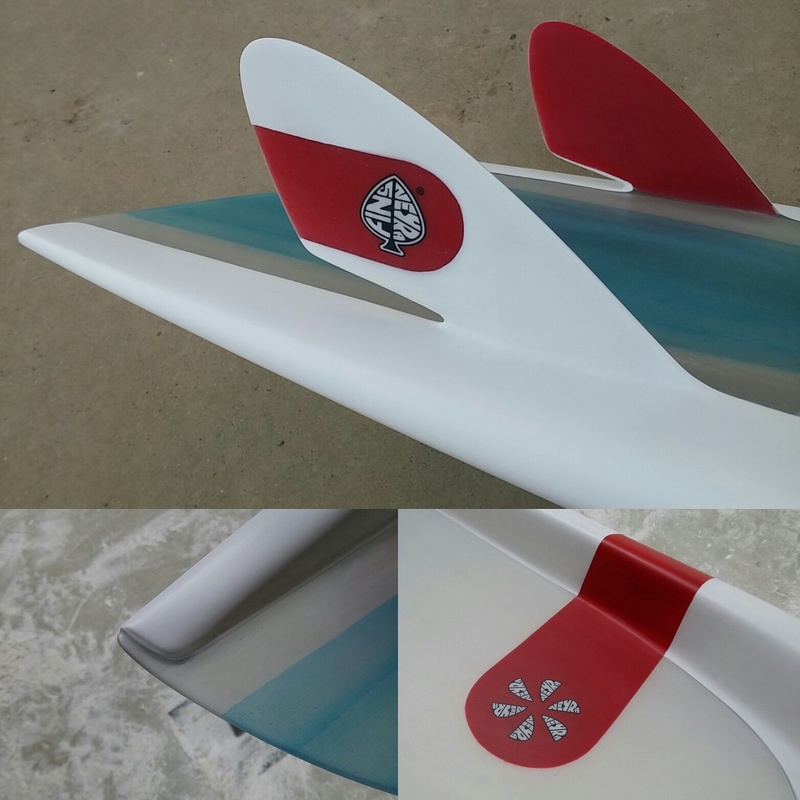 The small lengths of our brochure, twin fins, singles, quads, bonzers, and of course any custom you could imagine, you can order with the new 3x vacuum woody tech. How is it work? We use recycled eps core vacuum sandwich, wood ( 15 types to be chosen), and epoxy resins. Firstly we do the double vacuum for eps core, fiber and wood, to keep the shaped foam perfectly assembled. Once we get this done, we do the third vacuum for the external epoxy lamination. The result is a lighter and stronger board. 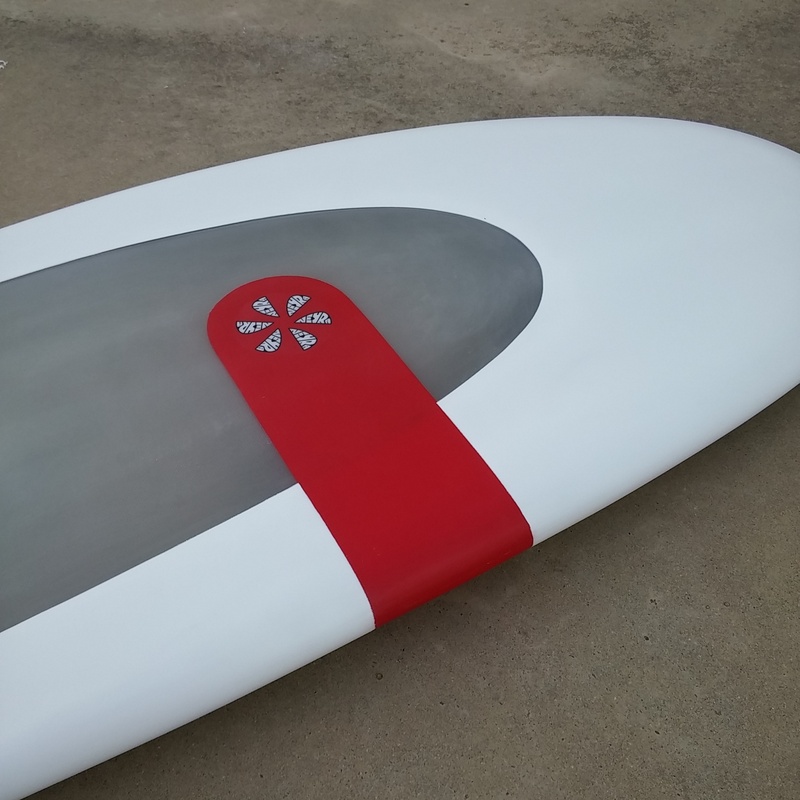 The combination wood and epoxy provide a longer surfboard live and an accurate flexibility similar to poly boards. In the picture you can see the first step of this construction, the double vacuum finished. Look the rail and the nose concave , once the vacuum is done…. Hola! Como ya sabéis la tendencia de sostenibilidad es una realidad que va en aumento día a día, y como no puede ser de otra manera en Neyra Custom Boards la hemos implementado. A partir de ya, puedes encargar tu nueva tabla(medidas pequeñas del catálogo como twin, bonzer, single…etc, etc) en esta tecnología. Cómo funciona? Partimos de un foam de EPS reciclado( el corcho de bolitas de toda la vida…mejorado) , una vez shapeado, se aplica un doble sandwich al vacío con el tipo de madera que elijamos, hay 15 disponibles, fibra y resina epoxy , normal o bioepoxy, y ,como el anuncio , se quita el aire que sobra y la resina que sobra dando como resultado una tabla más ligera y resistente a la vez que con un flex similar a las de poliester. 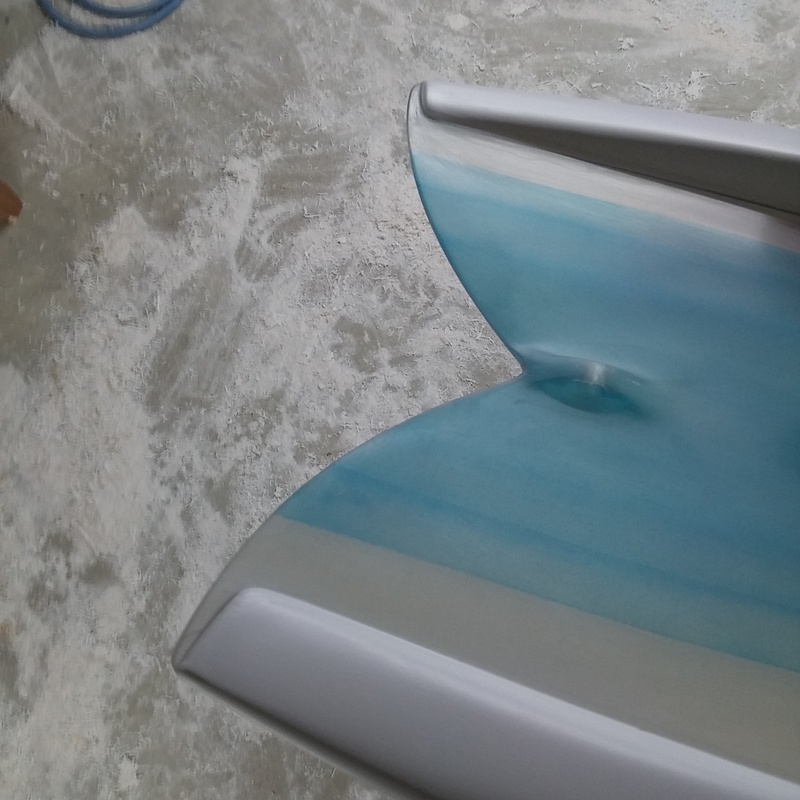 Como se ve en la foto, después de hacerle el primer vacío, la tabla queda lista para eliminar cualquier imperfección y aplicar un último sandwich con fibra de vidrio y epoxy que mantendrá la tabla en condiciones por mucho mas tiempo que las antiguas de poliester. Esta tecnología es mas duradera y presenta una características muy adecuadas en cuanto a flex, peso y comportamiento en el agua. Igualmente es eco-friendly, menos perjudicial para el medio ambiente, y con un aumento de precio mínimo, por lo que son todo ventajas. ATENCIÓN: Esta tecnología no tiene absolutamente nada que ver con estas tablas de sandwich de epoxy duras como una tiza, que no tienen flex ninguno y que se rompen , como una tiza, con un golpe seco….que en su día las intentaron meter en el mercado pero que no tuvieron ningún éxito, por su poca calidad y alto precio. Complejo este Kneeboard FLEX SPOON. 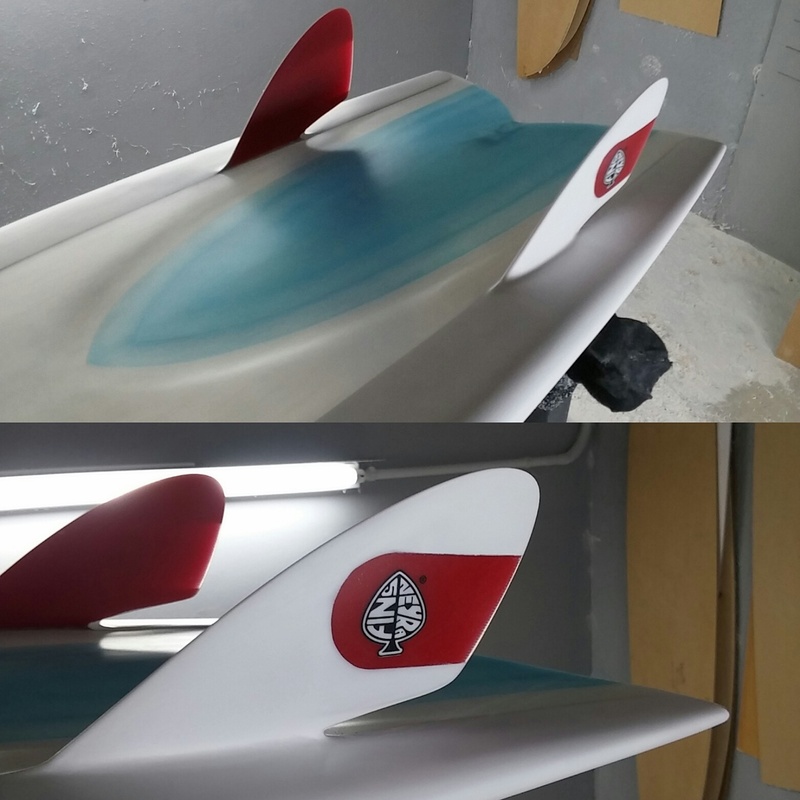 Mucho trabajo para agradecer a raiders y amigos de NEYRAFINS Y NEYRA CUSTOM BOARDS su apoyo y paciencia de la mejor manera posible….. Surfeando. 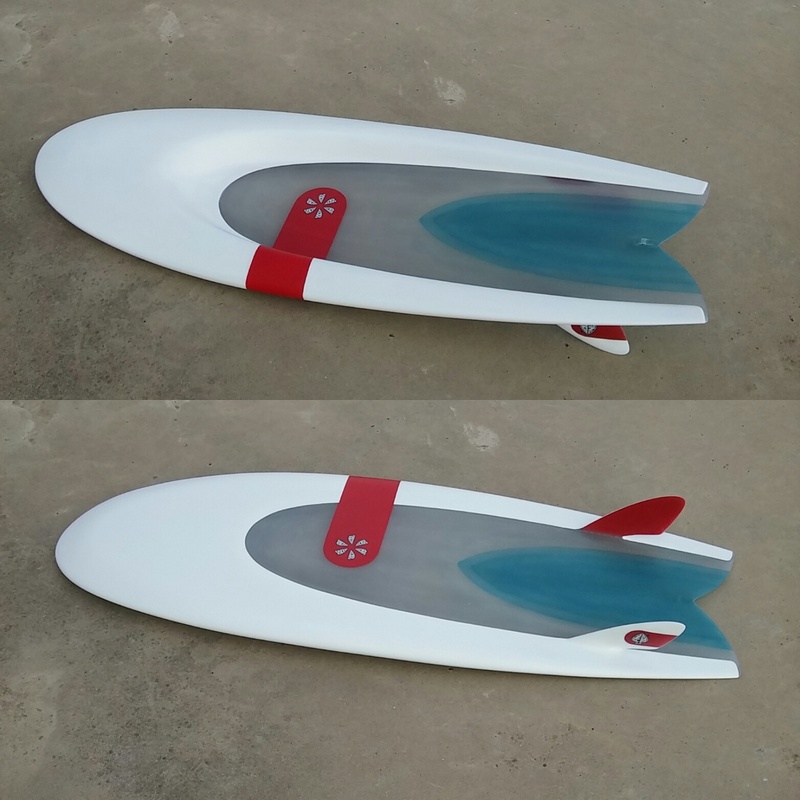 For those of you who have never seen this model, that beauty kind of weird board is a Kneeboard also known as FLEX SPOON. It’s a classic. This board works in two interesting ways, with no pressure the board has a flat rocker with a belly bottom in the first 1/3(white area, foam plus fiber and resin…) and a simple concave with a little v. Under pressure , when you execute a power bottom turn, think about riding on your knees and your body keeping a low center of gravity at a higher speed , that pressure on the bottom means a change from flat rocker to a deep concave, and once the pressure stops, just when the turn is done, the rocker back to its normal state creating and spring-effect which generate huge speed. 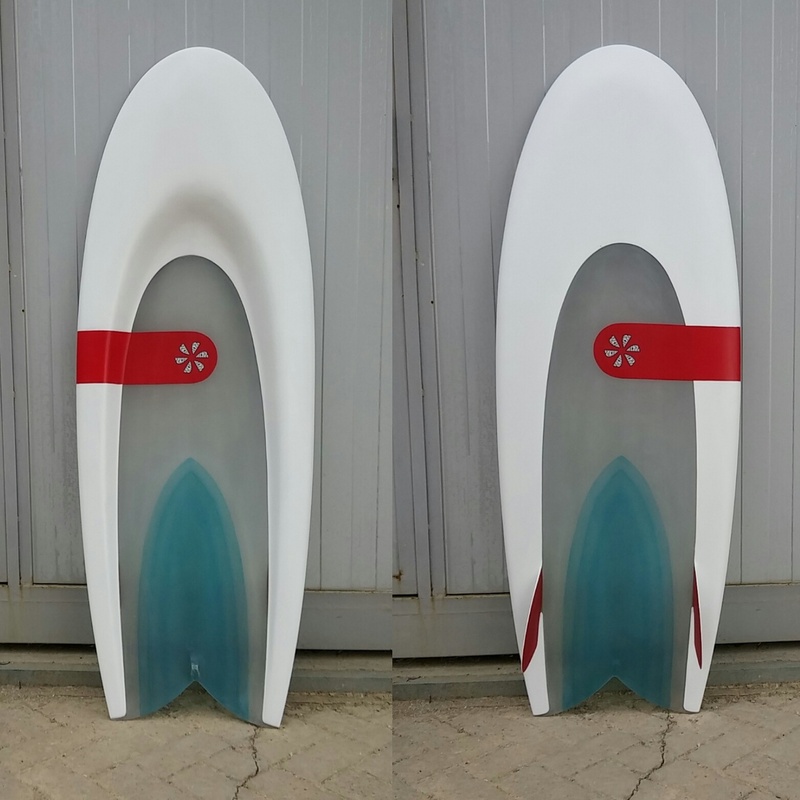 This theory might sound new , but this model comes from the 60’s so back in the day they already knew one o two things about surfboards designs. 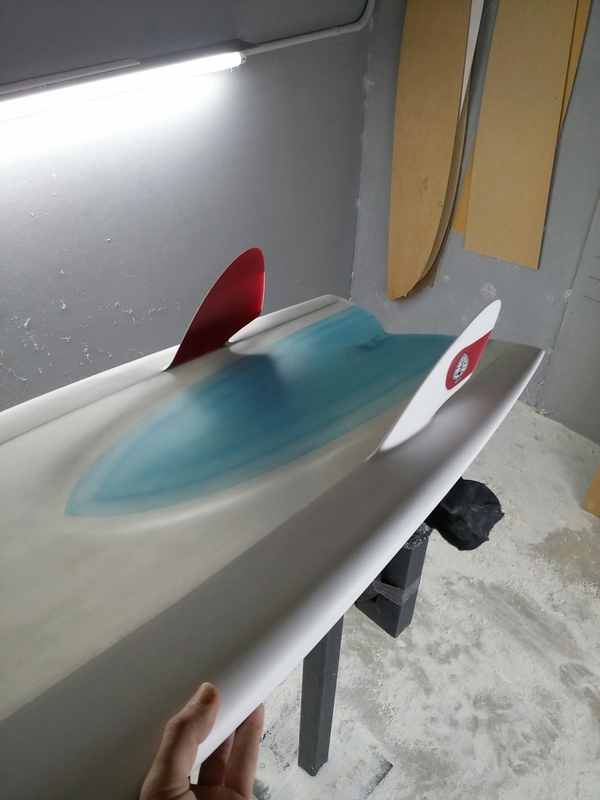 Shaping this board is really a challenge, as many shapers know. The final result , worth it!! Enjoy the pictures. Hey, din’t say it’s handmade?? 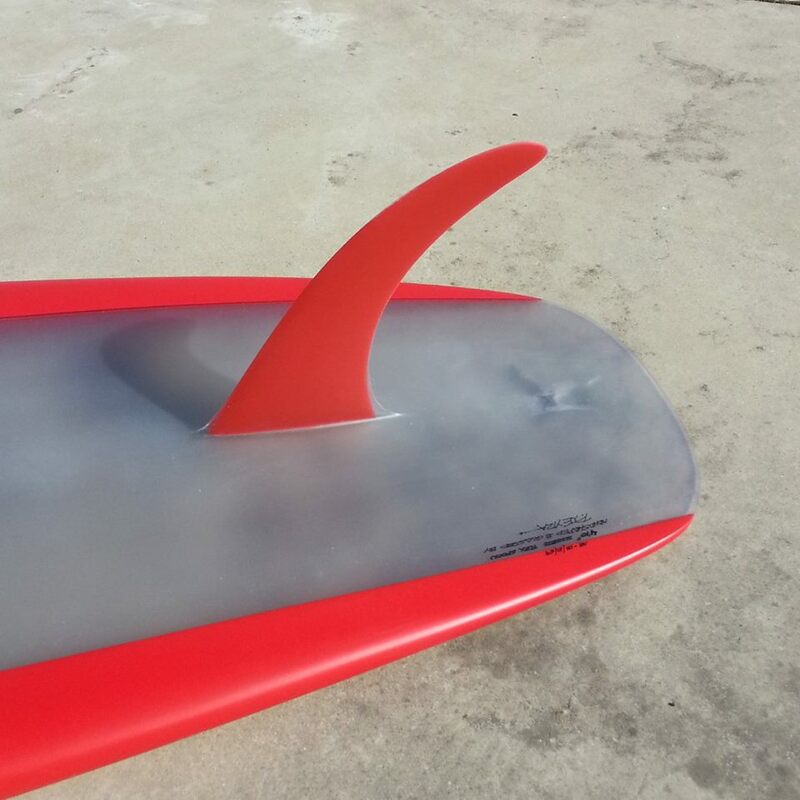 4’11” flex spoon para el verano. Con un extra central de volumen. Para mas detalles o preguntas tecnicas neyrafins@gmail.com. 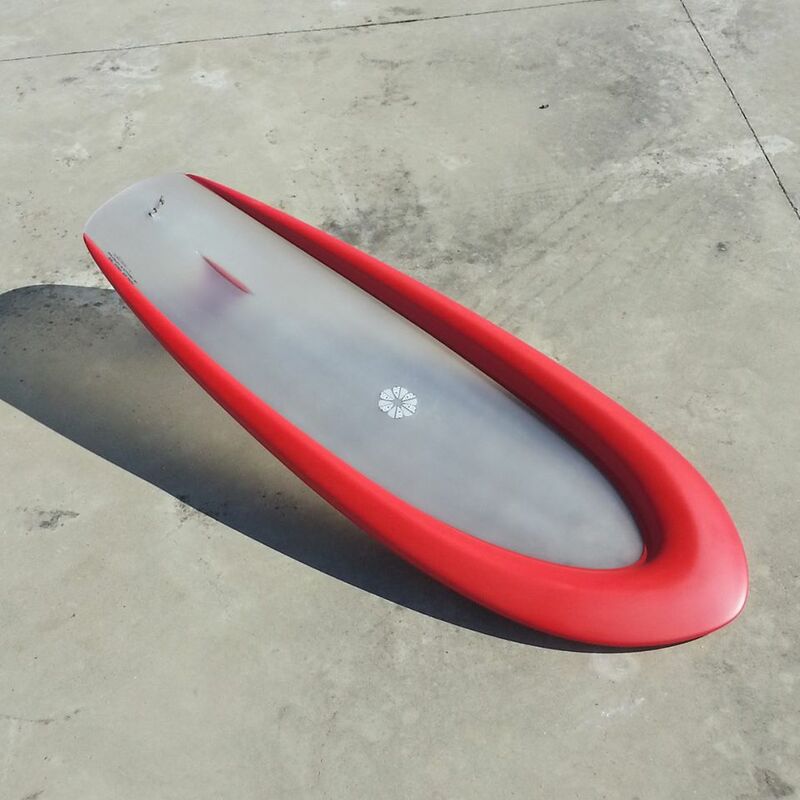 Have you ever ride a flex spoon kneeboard? You should. 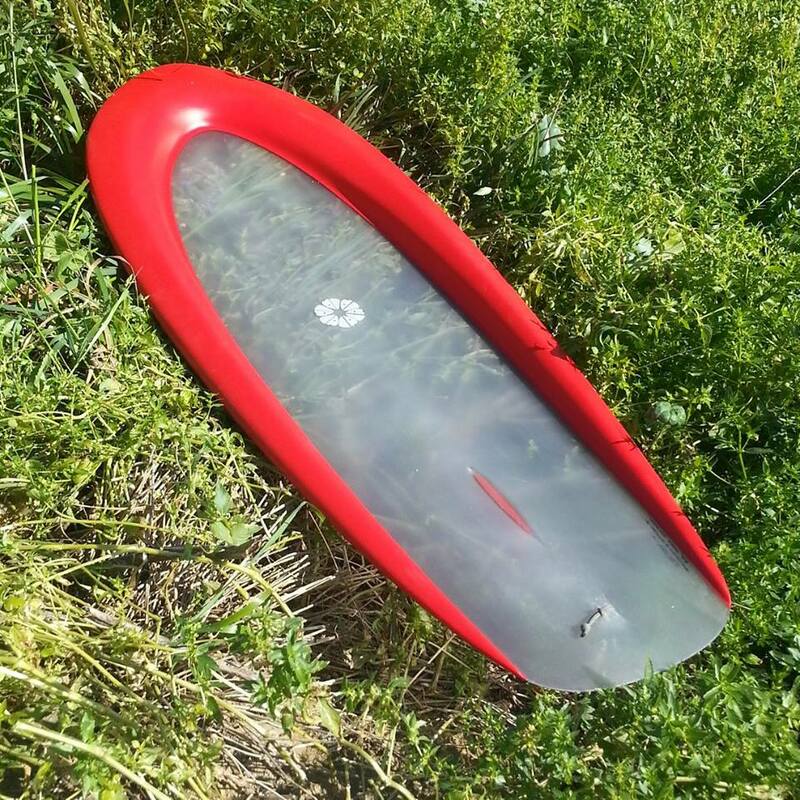 Get a swim fins a ride summer waves easily, you will learn to turn your waist properly and when you get back to your everyday board, you’ll notice a better turning performance. HAND-SHAPE.